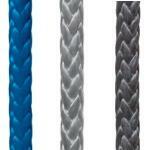 Today, Samson continues push the leading edge in rope technology. The company's unwavering commitment to research, development, and a unique package of field engineering and after-sale support services has resulted in stronger and more durable products for a diverse range of commercial and recreational users. Recreational boaters everywhere utilize the company's anchor and dock lines. Running rigging for sailors is available in both recreational and competitive grades. 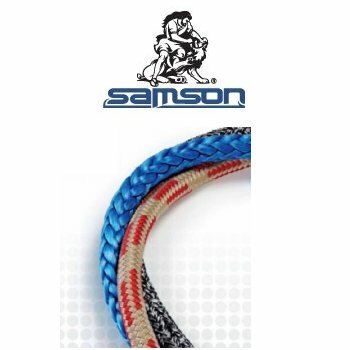 For well over 100 years, Samson has been recognized as the leader in developing and manufacturing braided ropes. Today, Samson engineers are using the same Nylon and Polypropylene fibers together with newer developments in fiber technology like Kevlar, and HMWPE fibers like Spectra, Dyneema and Technora. AmSteel -Blue is a torque-free, 12-strand single braid that yields the maximum in strength-to-w..
A lightweight, floating double braid with a modest strength/weight and price profile. 24 stra.. If you liked it before, you’ll love it now. 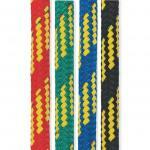 WarpSpeed™ II is a high strength, low stretch and extr..